Assisted living provides a viable option for elderly patients who do not quite need the constant care and supervision offered in a nursing home setting, but who still require some form of assistance. It allows patients to receive care in the comfort of their homes and to give up only a moderate level of independence and privacy. Negligent caregivers may fail to provide the supervision or quality of care that is promised, however, and this can lead to serious injuries. The assisted living negligence attorneys of Nursing Home Law Center LLC represent the interests of anyone who has suffered the consequences of negligent or irresponsible care. If your loved one suffered an injury or death as a result of an accident or neglect at an assisted living facility, you may have grounds to pursue a claim or lawsuit against the facility. Complete our case intake form here and an attorney will review your case for free. While the level of independence residents have at assisted living facilities is greater, they receive many of the same forms of treatment. Caregivers are responsible for providing residents with meals, making sure that their environment is safe and providing medical assistance and care when required. Our Chicago nursing injury lawyers have noticed that the failure of staff to properly supervise residents can be linked to many, if not most of the assisted living injury cases we encounter. Here are some of the types of accidents that victims may experience. Slips, trips and falls — a staggering 33% of all elderly adults will fall every year in the United States, and falls can result in serious injuries that limit or impair mobility or even lead to death. In 2009 alone, there were over 19,000 reports of elderly deaths that were linked to a fall or complications arising in the treatment of injuries suffered in one. Many of these falls could be prevented by making sure that furniture and other objects are not placed in common walking paths and that wet floors are marked and residents are provided with any assistance needed. Medication errors — doctors who prescribe medicine to elderly patients who are often taking multiple medicines already must take the time to ensure the new prescription will not interfere with the patient’s other medications. It is also the responsibility of the pharmacist and assisted living center staff to make sure that patients receive the right medicines and at the proper doses. There is an alarming number of medication errors that occur each year across the country, and while most of the injuries are minor, others can be severe or fatal. Failure to provide proper nutrition — oftentimes when an assisted living center is understaffed, patients received a diminished level of care. In some cases, residents are not provided with the nutrition or hydration that they need and suffer severe medical complications as a result. It is also important for assisted living centers to consider the dietary needs of patients before preparing and serving their meals, as the failure to do so can have a negative impact on their health. Failure to provide supervision — even though assisted living residents have a much greater level of independence than nursing patients, they still require enough supervision to ensure their safety. Failing to provide supervision is the most common catalyst for injuries in assisted living centers. Our Chicago nursing injury lawyers have also encountered cases of abuse at assisted living centers that is inexcusable. There should be no reason any resident is subjected to physical, sexual or financial abuse, but the lack of proper supervision often allows predators to get away with these acts unnoticed. Here are all of the forms of abuse that may be encountered at an assisted living center and the warning signs to look for. Financial abuse — in an age where identity theft is a growing concern, elderly patients are often targets for identity thefts and other criminals. Workers may steal financial documents or steal money directly from their patients. They often threaten patients or take advantage of those who are suffering from neurological disorders in order to gain access to financial information or money. You should monitor your loved one’s credit for any suspicious activity and question any changes made suddenly to your loved one’s insurance policies or will. Physical abuse — while there are cases of direct assault, physical abuse may manifest itself in an attempt to subdue or restrain a patient. There is no excuse for ever using physical force to coerce patients to fall in line or act as the caregivers wish. Many patients are afraid of their abusers and will not quickly come forward with allegations, so if you notice that your loved one has marks on his or her body, make sure to ask questions. Emotional abuse — caregivers may insult patients, issue threats, raise their voices or harass them while providing care. This is completely unacceptable behavior and should be treated just as physical or sexual abuse would. There are many cases where emotional abuse is accompanied by or leads to physical or sexual acts of abuse. Watch for sudden changes in your loved one’s behavior, silence in the presence of a caregiver or sudden mood swings into depression or anger. These could be signs of emotional abuse. Sexual abuse — the perpetrators of sexual abuse can be anyone. It is the responsibility of assisted living facilities to provide a safe atmosphere, so regardless of whether the abuse is a staff member, fellow resident or a visitor, questions must be asked about how the abuse was allowed to occur. Neglect — even though patients in assisted living facilities value their independence, they must receive regular medical care, be kept clean and fed and be provided assistance if they have mobility concerns. There is no excuse for neglecting patients in any nursing care facility, including assisted living centers. The best advice we can give is to ask questions whenever you notice something is off rather than to brush it off or to immediately take the reassurances of a caregiver when you do demand an answer. It is far better to investigate the suspicion of abuse or neglect and be proven wrong than to let the issue go and find out later that your loved one was a victim all along. Nursing Home Law Center LLC has been providing award-winning legal services to individuals and families who have suffered an injury or death at an assisted living for many years and we’ve helped thousands of clients collect the compensation they were entitled to for their injuries. 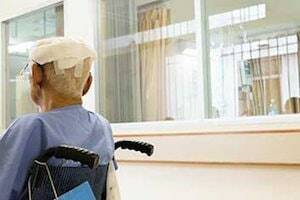 We have a special team of lawyers dedicated to working with clients whose loved ones have been injured due to the actions of negligent caregivers. These lawyers have the knowledge and experience that you need to ensure the greatest chance of success. Contact us today to arrange a risk-free and confidential consultation with one of our qualified assisted living facility negligence attorneys so that we can collect and review all of the information that we need to investigate your matter. We will evaluate your case and discuss your rights and legal options so that you know exactly what to expect and how to proceed. Our services are completely guaranteed, which means we do not require any upfront payments and will only accept payment after securing compensation on your behalf.